Gortermoan Bed and Breakfasts. Compare latest rates and Live availability for all your favourite places and places you have always wanted to go using our new My Shortlist feature. Click + to add to your Shortlist. Bed and Breakfasts in Gortermoan, County Fermanagh for 1 night from Wed Apr 24, 2019 to Thu Apr 25, 2019 within 10 miles, in an Average Nightly price range of £1 to £200. In the picturesque village of Belcoo, Meadow View Apartment features self-catering accommodation in the Fermanagh Lakelands Area, 6 miles from Marble Arch Caves. Free Wi-Fi is available throughout. Offering lake and mountain views, the two-bedroom apartment features a living room with flat-screen TV and DVD player and a fully equipped kitchen with microwave, oven and dishwasher. The bathroom is fitted with a Spa bath, free toiletries and shower and there is also a washing machine and tumble dryer. Guests will find a range shops, pubs and restaurants in the surroundings and the famous, award-winning MacNean House and Restaurant is just 5 minutes' walk down the road. 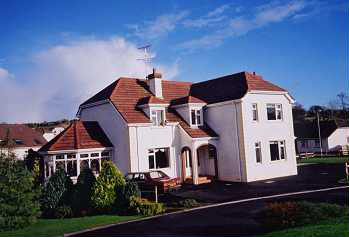 Set against the Cuilcagh Mountains, the property offers spectacular views over Cottage Meadow Park and Lough MacNean. Sligo is a 45-minute drive away, while Enniskillen is 13 miles away. Both Belfast and Dublin are 2 hour's drive from Meadow View. Corralea Activity Centre is located on the banks of Lake Macnean within Fermanagh Lakeland. This family-run holiday centre offers outdoor activities and charming cottages set in 16 acres of woodland. Each rustic, eco-friendly cottage at Corralea Activity Centre has bright, cosy interiors with wooden furnishings. The living room has a wood-burning stove, a TV and a DVD player, and there is a well-equipped country-style kitchen. There is also an outdoor dining area. Onsite you will find a barbecue, a jetty with fishing boats, a playground, volleyball pitch, nature trails and a tipi, where you can enjoy a picnic. Activities include walking, canoeing, archery and climbing, and you can also hire bikes on site. Windsurfing can be enjoyed on the lake, just a stone's throw from the cottages. The nearby Atlantic coast is ideal for surfing, with the nearest beaches being at Bundoran and Rossnowlagh, approximately 30 km away.